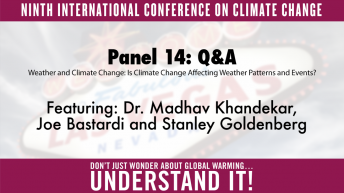 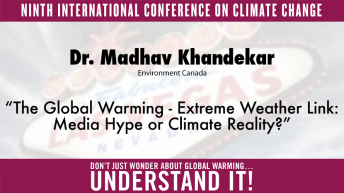 Madhav Khandekar is a former research scientist from Environment Canada and is presently on the editorial board of the Journal of Natural Hazards (Kluwer). 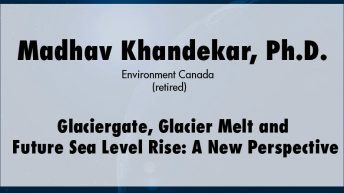 He is an environmental consultant on extreme weather events and a scientist with the Natural Resources Stewardship Project. 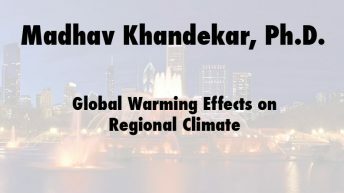 He has worked in the fields of weather and climate for nearly 50 years and has published more than 120 papers, reports, and book reviews and a monograph on ocean surface wave analysis and modeling (Springer-Verlag 1989). 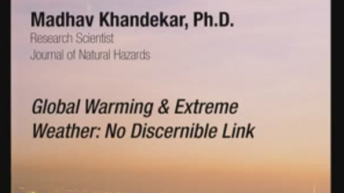 Khandekar is one of the external reviewers for the Intergovernmental Panel on Climate Change’s 1997 Second Assessment Report.